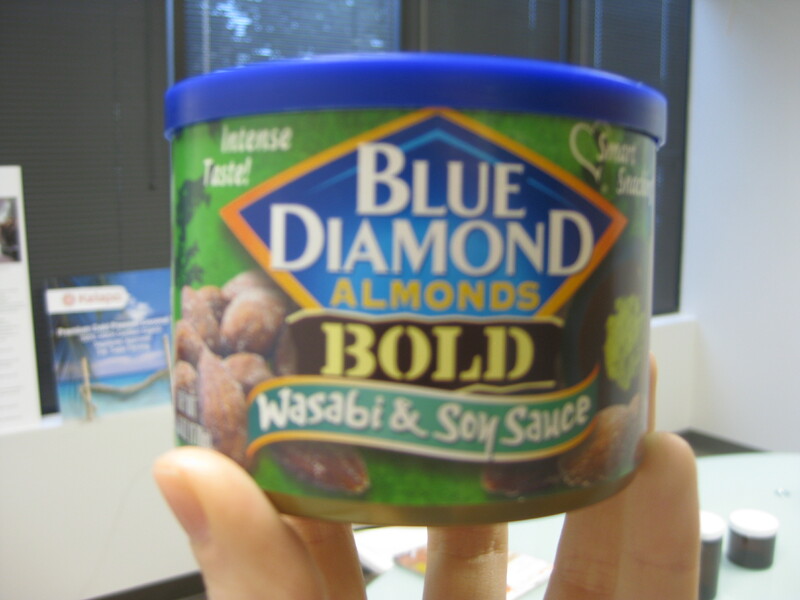 I recently tried Blue Diamond’s new Bold Wasabi flavored Almonds. 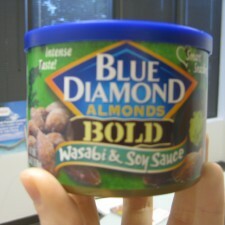 A delicious snack, but also the inspiration for a new recipe! Put all of the almonds together in the food processor and grind into fine pieces, then pour onto a plate. Brush each side of the salmon with egg mixture, then dredge it in the almonds, making sure to press them into the salmon. Heat 2 tbsp coconut oil in a sauté pan and cook salmon about 5 min on each sides, until the almond coating is golden and crispy and the inside of the salmon is opaque. Serve with coconut rice and roasted veggies.